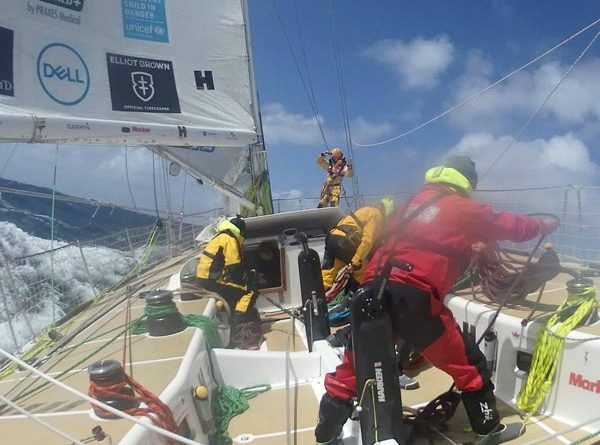 After a fortnight of intense and incredibly close competition, seven of the twelve Clipper Race teams crossed the finish line in Cape Town overnight, successfully completing Race 2: Stormhoek Race to the Cape of Storms. The incredible battle between frontrunners Greenings and Dare To Lead continued right until the end and had spectators from all over the world glued to the Race Viewer. Greenings managed to cross the finish line just 18 minutes ahead of its rival and claimed first place for the second consecutive race. Read the full podium position story on the Clipper Race website. Garmin claimed third place, whilst a last-minute shake up saw Visit Seattle pip Liverpool 2018 to the post for fourth, with Skipper Nikki Henderson and her team crossing the finish line just 20 minutes ahead of the bright pink yacht. Qingdao finished in sixth place, with Sanya Serenity Coast in seventh, whilst Nasdaq is expected to finish in eighth place. Elsewhere in the fleet, the battle for race points is still very much on. The drag race between the ninth placed HotelPlanner.com and GREAT Britain has continued overnight, though HotelPlanner.com has managed to pull away to be 18 nautical miles from its nearest competition this morning. 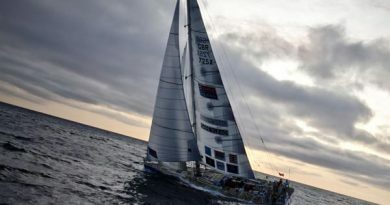 With a current estimated time of arrival set for later this afternoon, HotelPlanner.com Skipper Conall Morrison says: “An exciting day and night of sailing on the good ship HotelPlanner.com. 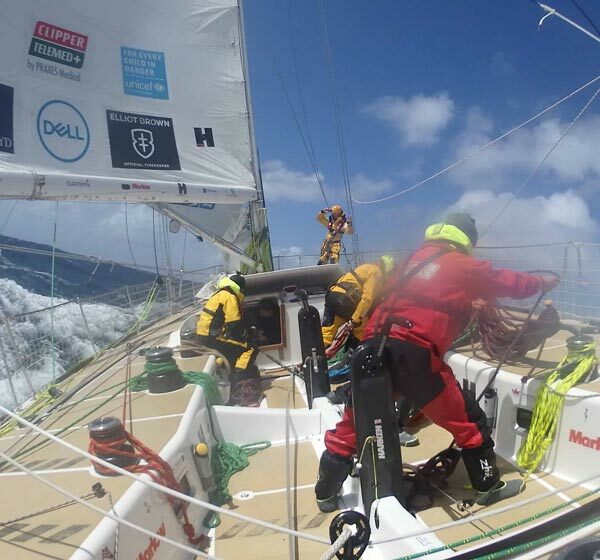 We are currently screaming along downwind under Code 2 (mediumweight spinnaker). We hoisted it at 11:00 local time this morning after the front had passed, and then gybed it not long after sunset. Further behind, Unicef is also making good progress towards Cape Town with Skipper Bob Beggs reporting: “As I am typing the watch on deck have just completed a gybe and we are now heading directly towards Cape Town again! Unicef is bracing for change over the next day as weather conditions are set to make its upcoming Elliot Brown Ocean Sprint a fast one. Meanwhile, with just over 2,000 nautical miles to go, PSP Logistics has been enjoying some fantastic sailing conditions over the last 24 hours. Skipper Roy Taylor comments: “Still in champagne sailing conditions but expecting this to change through tomorrow into Friday to give us some rather fruity conditions for a couple of days. This will be from northwest backing into southwest as the front comes over sometime on Friday with gusts up to 50 knots. Despite being further behind (due to damage sustained to its starboard rudder when a whale collided with the yacht earlier in the race), thoughts on board PSP Logistics are very much with the rest of the fleet and the upcoming stopover in Cape Town. Roy adds: “It looks like it’s going to be a nail-biter right to the finish between Greenings and Dare to Lead, good luck to both teams! For an idea of when the last of the fleet is expected to cross the Finish Line, please see the Estimated Arrival Times on the Clipper Race website. Weather conditions permitting, all arrivals into the V&A Waterfront will be shown on the Clipper Race Facebook Live page. 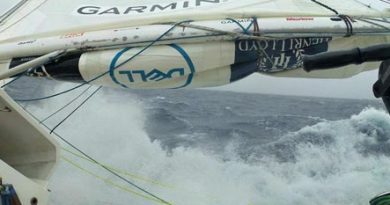 You can follow Clipper Race Viewer to stay up to date on the progress of HotelPlanner.com, GREAT Britain, Unicef, and PSP Logistics. All positions were correct at time of writing.